Special thanks go to … my police advisors, Paul Taberner for Warwickshire and Kevin Robinson for overall police procedure. 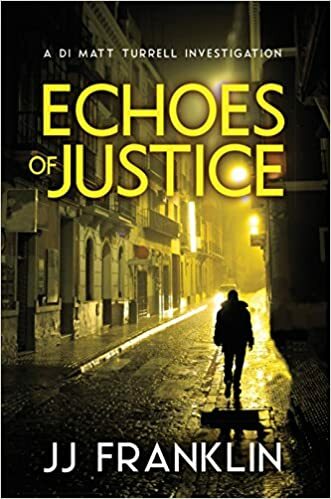 Franklin has delivered another exciting and well paced book with echoes of justice. The real highlight for me is the attention to detail every character is given. The reader quickly comes to know and emphasise with many of the characters, learning more about their detailed lives and how this affects every action they make. Franklin details the story from several perspectives, allowing us to explore the mind of a killer. The contrast and similarities between Kathy and Vinny shows a real understanding in the depth and complexity of crime.